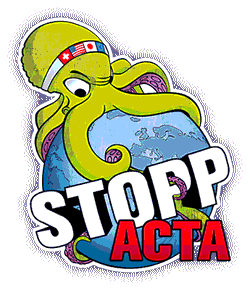 20100412 Jetzt Petition gegen ACTA unterzeichnen! Jetzt Petition gegen ACTA unterzeichnen! * must be determined only by competent legal authorities (such as courts) within each sovereign nation. * must be proportionate to the intent, and to the real and actual harm. * must not be implemented by means of a statutory damages regime. Civic Suites, Wellington Town Hall. We urge everyone interested in protecting their digital rights online to sign the petition to endorse the Wellington Declaration. Signatures added by Tuesday morning NZ time will be appended to the Declaration when it is communicated to the NZ Government negotiators, who we hope will circulate it to all the ACTA delegations. Don’t let that Tuesday deadline stop you adding your signature after that time.